I had started another blog post but decided to wait on writing that one as I realized that it would be one that may take a few hours to write and not being as young as I used to be I should probably sleep on it some before digging in to it. As it stands, I had a nice meal after getting home after a gig with a Rock Band that I play [cello] with and though I often state “beer is good food” it still pales before the “real” thing. Before I left for the show, I checked the stats to my blog (as I’m often wont to do) and noticed a fair number of visitors to it and as I viewed the link that the hits came from I realized that Alex Ross (music critic of The New Yorker and blogger about Classical Music at The Rest is Noise) had written a post and linked to a number of my posts about the Orchestra Crisis and Age of Orchestra Audiences. The post is titled, “The orchestra crisis at 110,” which references the first NYT article that I have in my Annotated Bibliographic Timeline of “Orchestra Crisis from 1903 (hence the 110 years of an orchestra crisis). As I’ve mentioned elsewhere, I’ve only included pieces that reference an Orchestra Crisis in general. Pieces that reference an Opera Crisis date back a bit further and there are several pieces that talk about the deficits or financial difficulties of specific orchestras as opposed to the whole field. I haven’t really found (nor looked for) Ballet Crises pieces. This makes Ross’ comment, “There are real problems in the classical world, but the lack of a sense of history and perspective can be exasperating” and conclusion that “all stories about this non-topic — including those protesting that classical music isn’t dead after all, as well as those protesting that the entire discussion is a waste of time — are a waste of time.” all the more relevant. While on the other hand, Sandow would say this simply means that since we don’t know then we can’t say there isn’t a crisis. If we lack a sense of history and perspective, then we can’t really say that there is a crisis either, right? 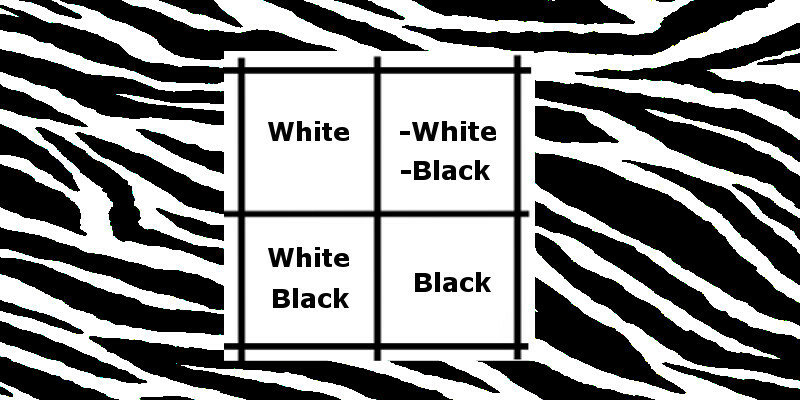 This just takes us back to the problem of how terrible we are at dealing with simple binaries and predictive reasoning. I could spend this whole blog just saying things about human reasoning, but I don’t–hence why I maintain another blog (one of many) dealing specifically with comparative neurophysiology (for a while I thought I would quit music altogether and go into this fascinating field) so I can post about things that may only have a tangential relationship to music. But I really should just outline the fallacies which arise due to erroneous reasoning about binaries such as the bifurcation fallacy of “Orchestras are Healthy” vs “Orchestras are in Trouble” which actually only refer to two of the four logical states that Orchestras (or the Orchestra field) can be in, the other two being “Orchestras are not Healthy” and “Orchestras are not in Trouble” (or the more cumbersome locutions, “It is not the case that Orchestras are Healthy” and “it is not the case that Orchestras are in Trouble”). The fallacy comes when you collapse the four distinctive logical possibilities into two binary oppositions by equivocating “Orchestras are Healthy” with “Orchestras are not in Trouble” and “Orchestras are in Trouble” with “Orchestras are not Healthy.” When you make those equivocations you leave out the other two possibilities and lose the ability to see how grey and nuanced the situation is rather than simply being a Black/White issue (other names for the “Bifurcation Fallacy” are the “Black/White Fallacy, “Either/Or Fallacy,” or the “False Dichotomy”). Orchestras could just as easily not be in Trouble AND not be Healthy; also Orchestras could both be in Trouble AND be Healthy. 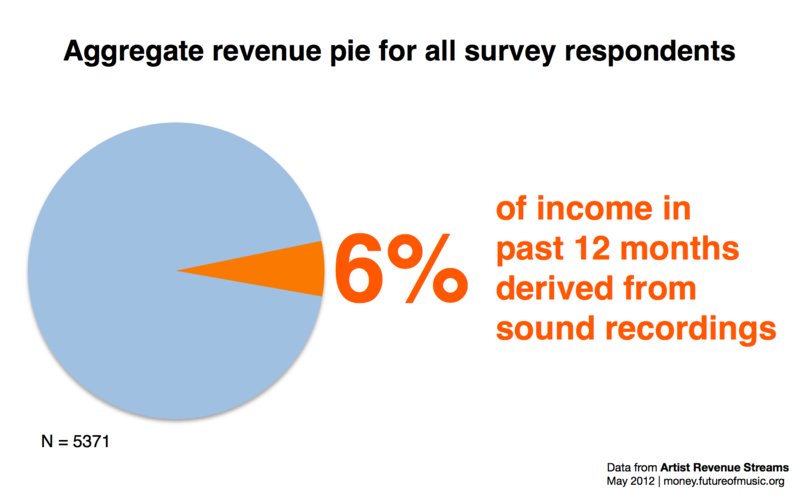 The Artist Revenue Streams has posted the latest study from their musician survey and it seems to confirm other hypotheses and trends regarding the ability to make money from recordings by musicians. The link is to the summary but also has a link to the original piece. Basically, the trend is that fewer musicians are able to make money from recordings when they are sold in a traditional hard-copy format (CDs, LPs, Cassettes, etc. ), and while most are reporting an increase of revenue through digital sales it never makes up for the difference of the loss of physical sales. In other words, the ability to make money selling recorded music in a consumer market is declining. I’m in the middle of writing a “Grand Rights” primer for dancers which will likely be a separate web page rather than simply a blog post. 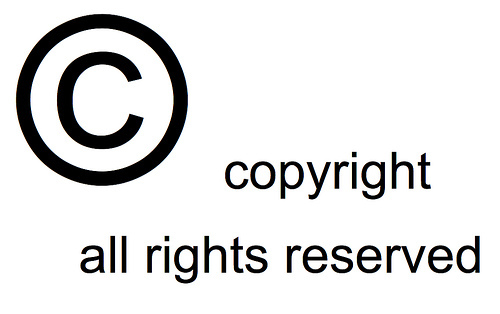 Copyright issues and copyright law are incredibly sticky issues and as I’ve been increasingly dealing with contractual work that deals with licensing my music (or the music of the ensembles I work with) I’ve had more than ample opportunities learn just what my rights are as a composer and maker of music. Much of this is also the result of following local (and national) issues regarding the usage of pre-recorded music for theatrical or dramatic productions. In particular, the recent Priscilla Queen of the Desert Broadway production, which is slowly floundering due to the bad word-of-mouth as the result of the producers to use canned music– a first to actually happen in the Broadway world (though not the first attempt). Since I’ve been involved relatively heavily in the belly dance community for close to a decade now (among other smaller dance communities/industries) it has always been a bit of an uphill battle to convince dancers to use live music whenever they can. At the very least to get them support the musicians whose music they are dancing to which most are more than happy to do. Modern Cello Techniques is a fantastic new website dedicated to extended cello techniques by Chicago based cellist, Russell Rolen. 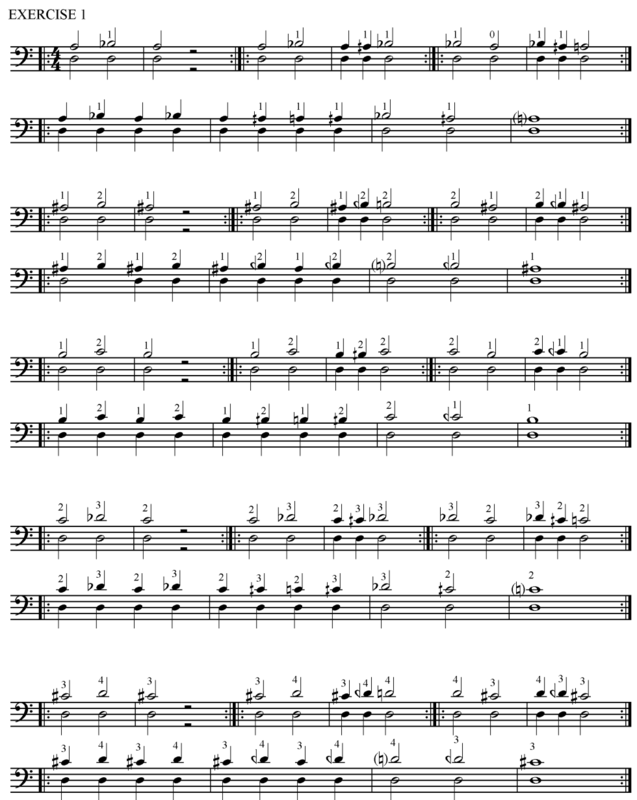 Of special interest to my blog readers who also are interested in Arabic and Turkish music, there is a section on Quartertones and a page with some samples from usage of them by Western classical composers. Be advisd, though, that Western composers use quartertones and microtones in very different ways than you’d find them used in Middle Eastern or South Asian Music so don’t expect to find much that would be useful for pedagogical or learning purposes if you’re interested in non-Western microtonality. Also, see my caveat about the whole issue of microtones here and here which help to explain some of these differences between the West and the Rest. What’s really wonderful are all the exercises such as the one picture in this post. As I slowly brainstorm how to start an Arabic Orchestra, I’ve only given passing thoughts on how to train the string players how to learn the ‘scales’ used in the music. I actually hadn’t thought of approaching it in the same methodical way that our Western music training does in the copious number of method books for instruments that we have. Mr. Rolen’s website just pointed me in a direction that I hadn’t thought about in this context and I may have to start developing some form of method book for training Western Classically trained string players in many of the Eastern Classical music styles!